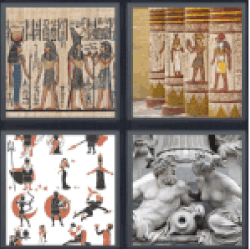 4 pics 1 word egyptian papyri. Drawings of ancient figures. Ancient statues. Egyptian pillars.